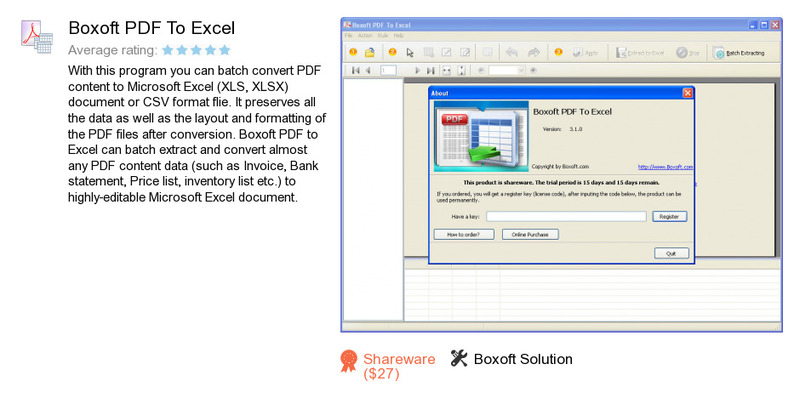 Boxoft PDF To Excel is a software product developed by Boxoft Solution. We know of version 3.1. Version 3.1.0 is available for download at our site. Boxoft PDF To Excel distributive has a size of 4,008,183 bytes. Boxoft Solution also publishes Boxoft Free PDF to PowerPoint Converter (freeware) and Boxoft PPT to Video.